It's not too surprising to see Oprah Winfrey's name atop Forbes' list of Hollywood's highest-paid women this year. The magazine estimates she raked in $165 million between May 2011 and May 2012 - and she has a net worth of about $2.7 billion. 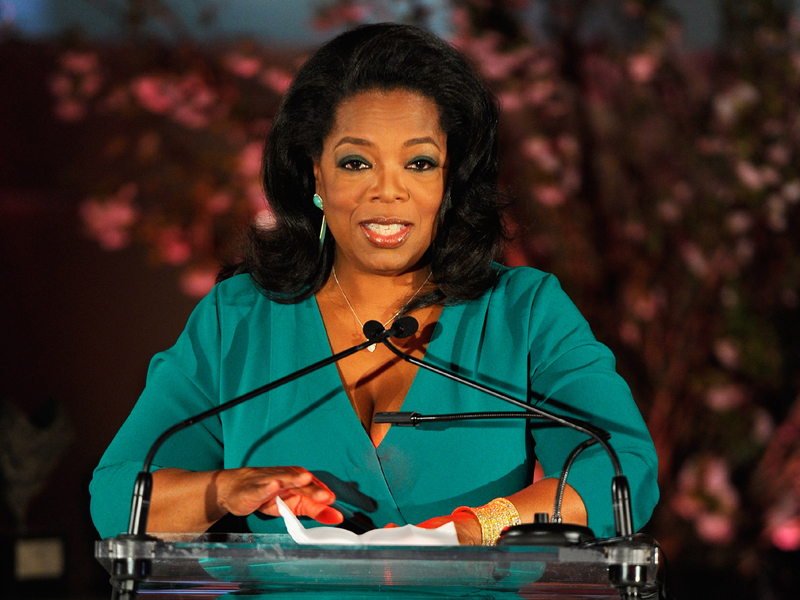 Even though Oprah no longer hosts her syndicated talk show, Oprah still has her OWN TV channel and her O magazine. Meanwhile, the second highest-paid female celebrity trailed pretty far behind. Pop star Britney Spears earned an estimated $58 million between the same time period - a whopping $107 million less than Winfrey. Country darling Taylor Swift landed in third place on Forbes' tally with $57 million, followed by fourth-place tie between Rihanna and Elle DeGeneres with $53 million. Lady Gaga and Jennifer Lopez both snagged the fifth slot with $52 million. Also making the cut? Supermodel Gisele Bundchen, Katy Perry and Judge Judy Sheindlin.